Cops face danger and put themselves on the line every day, sometimes in unusual ways — like these two police officers in Flagstaff, Arizona, who rescued a skunk whose head stuck got stuck in a yogurt container. The cops used a blanket to both shield themselves from any potential stink-spray and trap the frightened little animal. The video was originally posted online by Fox10 in Phoenix. Once the skunk was beneath the blanket, the officers were able to remove the yogurt cup. Then, they raised the blanket and set the skunk free. 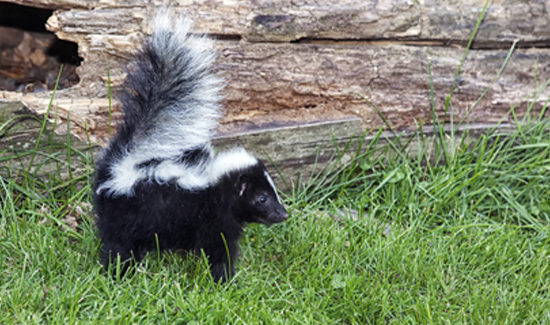 “You’re welcome, little dude,” one of the cops says as the skunk scurries off.